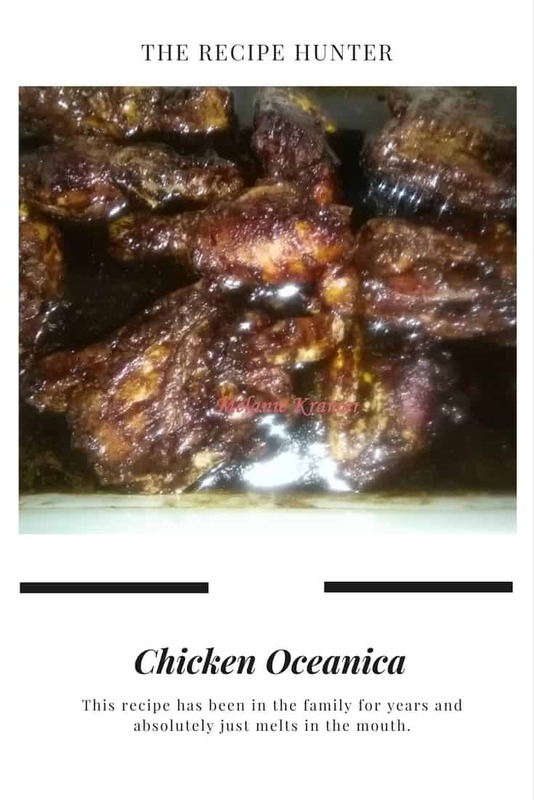 I recently visited family in Cape Town where I got an old family recipe from my aunt for Chicken Oceanica. It apparently comes from my other aunt, her baby sister. All I know is that it’s been around for years and absolutely just melts in the mouth. If you don’t drink keep scrolling as this requires 1 whole cup of sherry and there’s just no substitute! Marinade chicken in spices and set aside for 30 minutes. Sprinkle the flour and coat the chicken in this. Melt butter in a large wide pan over medium heat and brown the chicken all over. (Do this in batches if necessary). Mix soya sauce, sherry, brown sugar and pineapple juice from can. Pour over chicken and cook another 5 minutes. Transfer chicken and juices to and oven proof baking dish and cover with foil. Bake in preheated oven at 190 degrees C for 15-20 minutes.